American International insurance Company of Delaware (AIIC Delaware) is a life and health insurer that belongs to the American General Life Insurance Company family. The family is made up of seven different insurance entities located in the United States and the Philippines. Together these companies provide health and life policies to more than 13 million customers at both the consumer and commercial levels. Enter your zip code below to see health insurance rates you can afford. 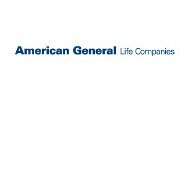 American General Life Insurance Company has been around in one form or another for the last 160 years. In just the last five years, the entire group has collectively paid out more than $34 billion worth of claims. American General and its subsidiaries have also won several awards over last few years, demonstrating their commitment to quality products, excellent customer service, and satisfactory claims processing. Although not likely, it is possible that AIIC Delaware maintains smaller offices throughout their general operational area. More likely, however, their local presence would be noticed through independent agents who might sell and service their policies. If you think there might be an office in your local area, you can verify that by simply looking in your phone book. You can also call local agencies and ask if they represent the company. At the consumer level, AIIC Delaware provides life insurance, annuities, health insurance, and long-term care insurance. Their health insurance products are not standard coverage like what you would get from an HMO or other employer-sponsored plan. Rather, it is designed to be supplemental insurance to cover costs that your HMO will not. The four categories of health insurance the company provides include accident expense, critical care, emergency care, and income protection. The idea behind a supplemental medical insurance is to keep individuals covered in the case of a catastrophic accident or illness. Many HMOs and catastrophic care policies have annual limits in terms of what they will pay out. With an extremely serious illness or a long-term care scenario, these limits can often be exhausted very quickly. Without supplemental insurance, the customer is left holding the bag for the remaining balance. By purchasing supplemental insurance, you are covered in such a scenario. AIIC Delaware prides themselves in superior customer service. Along with the other companies in the American General group, AIIC Delaware provides customer service through regional call centers scattered all across the country. For customers who prefer to take care of business online, the American General family provides their eService portal. Using this portal customers can log in to edit their account information, purchase new policies and modify existing ones, make payments, file claims, view their complete history, and so on. The American General eService portal is just one reason why they have sold so many policies. Today’s digital age requires companies to maintain a useful online presence in order to compete. Fortunately, the company has not forgotten its senior, less technologically minded clients. Customers who wish to do things in a more traditional manner can call a regional customer service center and speak directly to a representative. That representative can do all the same tasks as the individual would through the online portal. Filing a claim with an AIIC Delaware is slightly different depending on the type of policy, but there are a few things in common among them. Claims originate directly through the corporate office or a customer service center rather than a local agent. In addition, unlike HMOs, no payments are initiated automatically by doctors, hospitals, funeral homes, etc. All claims must be filed by the individual holding the policy, or the executor of the estate when applicable. For health insurance claims, individuals are required to provide documentation from their primary health insurance carrier regarding how much they pay, and their reasons for not paying the balance. AIIC Delaware reviews your paperwork as well as what was provided by your health insurance company and then writes a check to reimburse you for the balance. Their official documentation for health insurance says that such claims are normally processed within 15 business days.